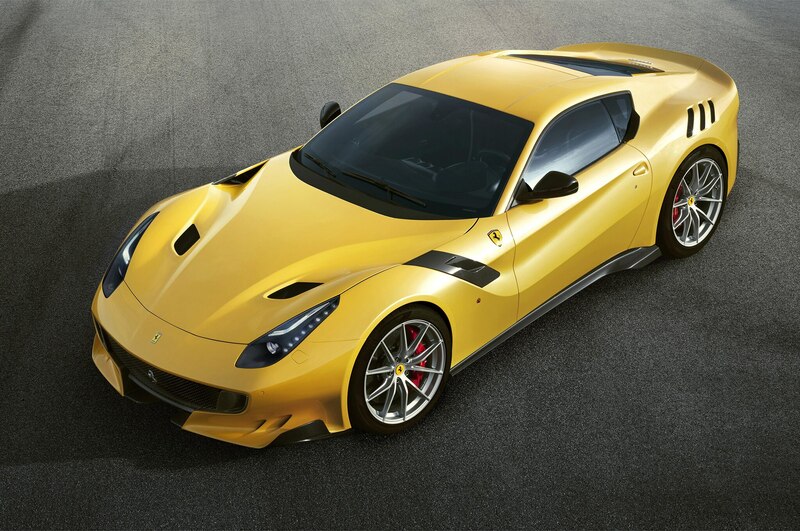 The Ferrari F12 Berlinetta gets wilder with the new tdf model. 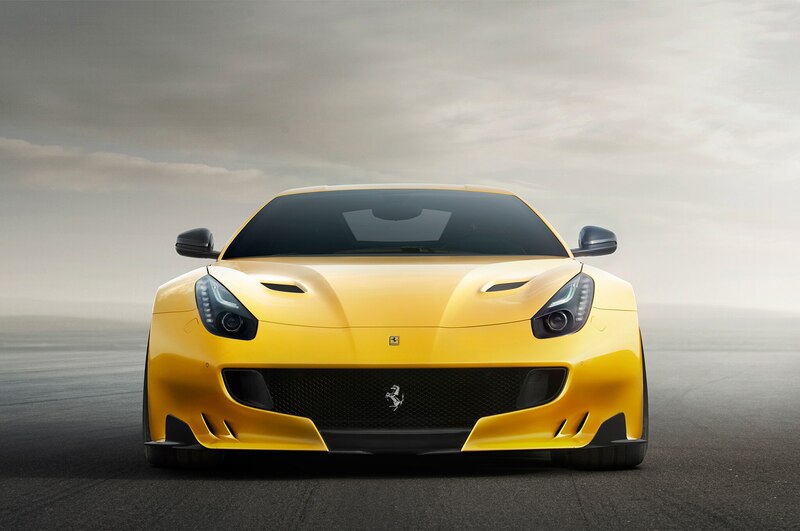 Named for the Tour de France road race in which Ferrari won several victories in the 1950s and 1960s, the F12tdf is a faster, more powerful, and more extreme version of Ferrari’s front-engine V-12 coupe. 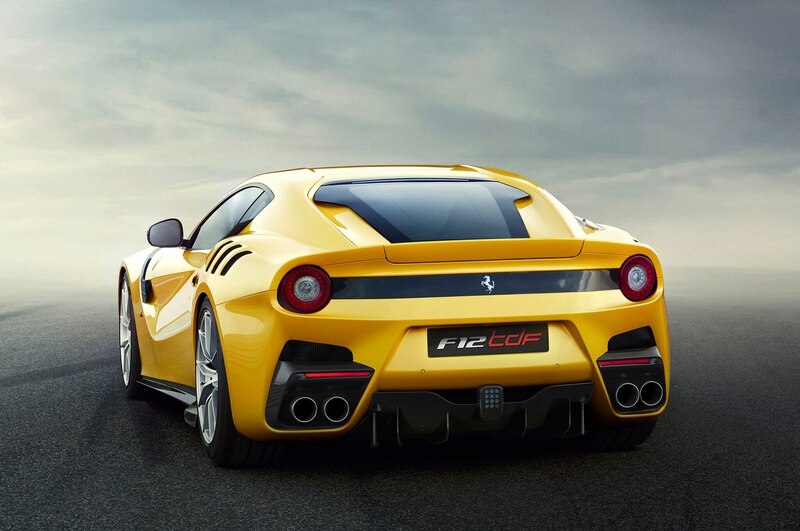 The car was widely expected to arrive this fall, and spy photographers even snapped it testing, although earlier press reports predicted it would be called the F12 Speciale. 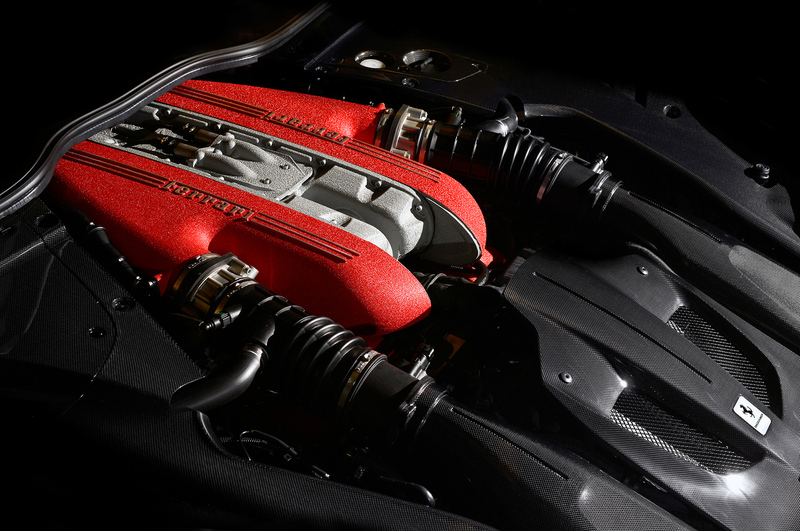 Tweaks to the car’s 6.3-liter V-12 engine bump outputs to 769 hp at 8,500 rpm and 519 lb-ft of torque at 6,750 rpm. 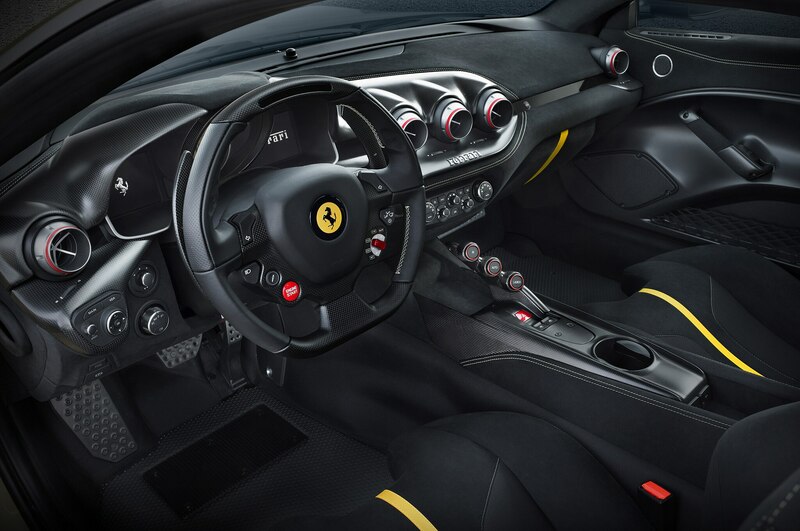 With the F12tdf’s 7-speed dual-clutch transmission now fitted with shorter gear ratios and 30 percent quicker upshifts, Ferrari says the car will rocket to 62 mph in just 2.9 seconds, 124 mph in 7.9 seconds, and on to a top speed “in excess of” 211 mph. That’s a serious improvement over the existing F12 Berlinetta, which boasted 729 hp and a 3.1-second sprint to 62 mph. 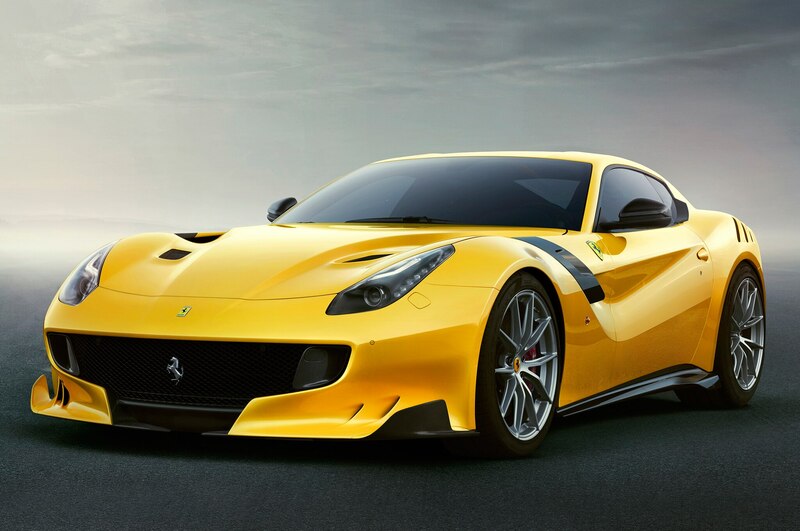 Straight-line speed wasn’t the only focus of the new Ferrari F12tdf. The car’s bodywork has been redesigned to improved downforce, thanks in part to a larger rear spoiler, a new splitter, new dive planes, various louvers, and a restyled “Aerobridge” on the car’s front fender. Increased use of carbon fiber inside and out has helped shed 243 lb of weight. The car’s front tires are wider than before, with 275 section widths versus 255s before, which Ferrari says could make the car prone to oversteer were it not for Virtual Short Wheelbase, a rear-wheel steering system that automatically pivots the rear wheels depending on the car’s speed, steering angle, and other factors. Ferrari says the feature allows, “even gentlemen drivers to make full use of the performance.” It all results in a claimed 1-minute, 21-second lap at Ferrari’s Fiorano test track — less than two seconds behind the LaFerrari hypercar and a full two seconds quicker than the Ferrari 488 GTB. 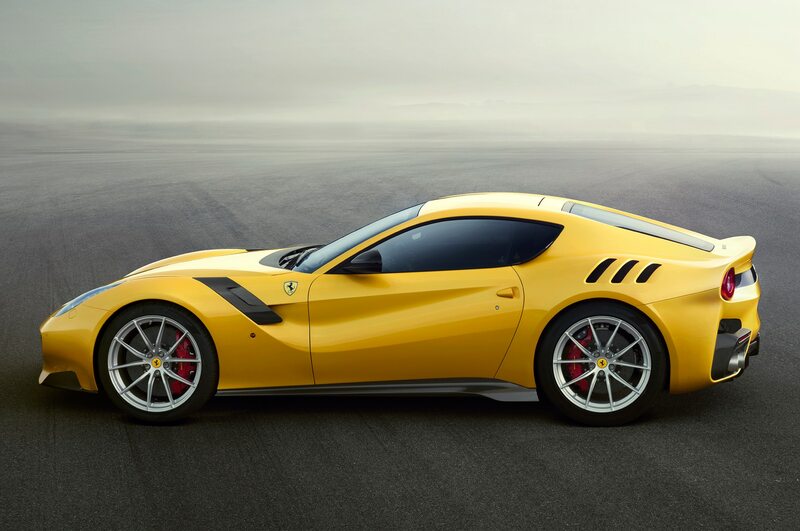 With production of the Ferrari F12tdf limited to just 799 cars, it’s sure to be in high demand among drivers who want the wildest front-engine Ferrari. As is usually the case with the Maranello’s supercars, no pricing has been publicly divulged.